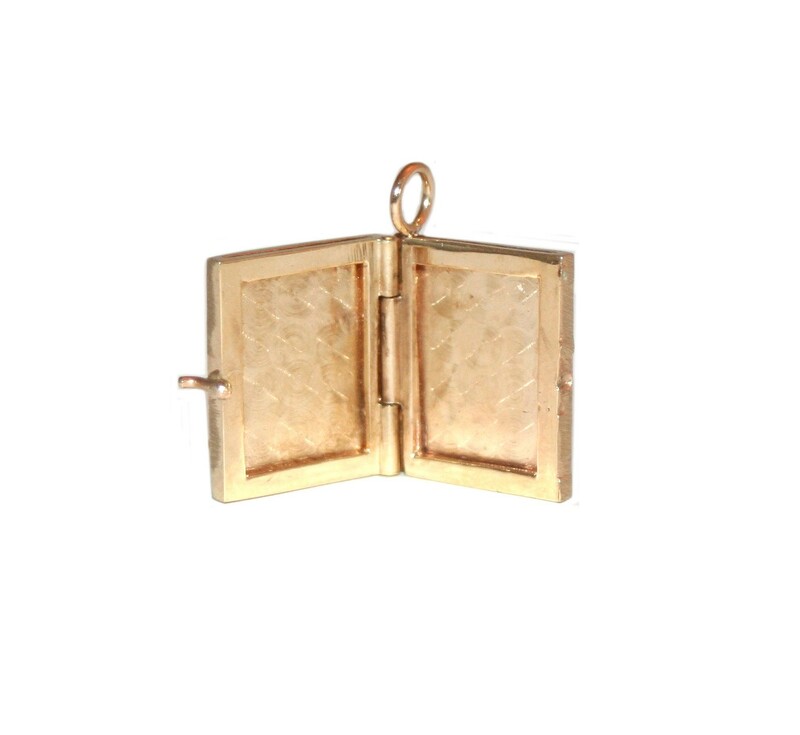 Estate Book Locket. 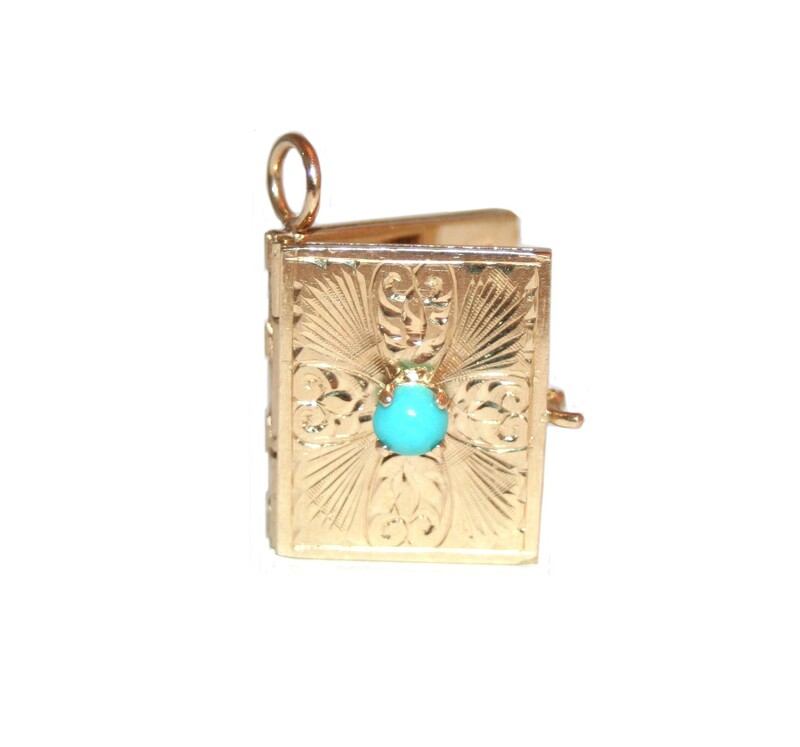 Intricate engraving surrounds a single turquoise. 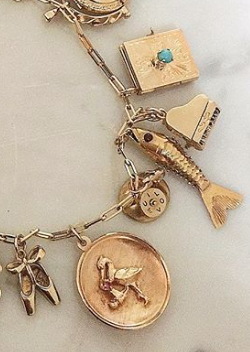 Add to a charm necklace or wear along as a single pendant.